Midget cabins house our youngest division here at the Heart. 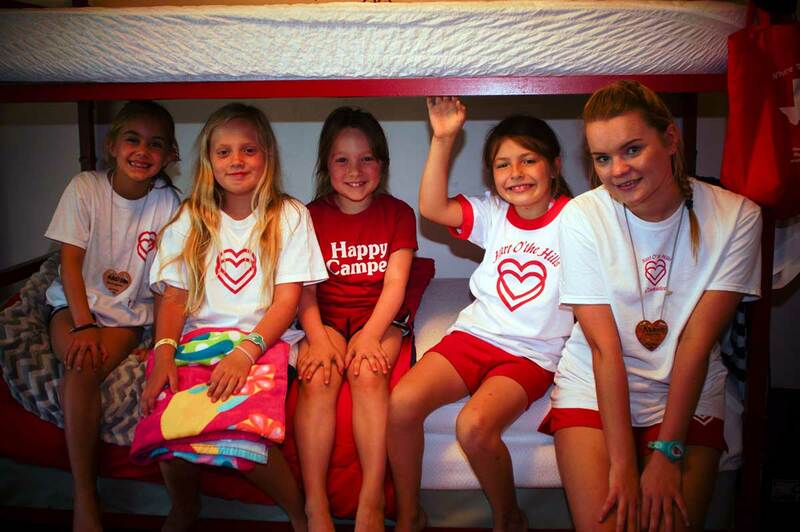 They are campers aged 6, 7 and 8. The youngest girls on camp – perhaps the trickiest. 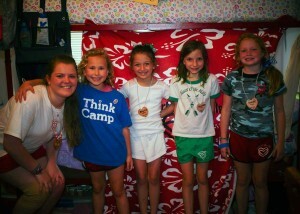 I have been a midget counselor for the past two summers. I have loved time being amongst the midgets and hope to return next year again with them. But what is it like? Living with five 6 and 7 year olds. These girls need lots of help and attention. They come to camp with no clue what to expect. They have made best friends within the first ten minutes of arriving. By the end of the first week they all act like sisters, they are protective of one another, help each other and truly love one another as much as a young girl can. My second term cabin, oak tree house, continually said this term that camp is a month long sleepover with your best friends. These young girls didn’t know one another when arriving and were so sad on the last night for their adventure to be over. Life in a midget cabin has to be structured. The girls spend their first summer as a midget learning how to wash their own hair, how to keep their tepee clean and how to get themselves from class to class. It is a massive learning journey that they are all on together. Each midget counselor has to have great patience. When the morning bugle goes off at 7.35am, you would expect the girls to jump out of bed. NOT. Of course all age divisions struggle at that morning bugle. In a midget cabin, they need constant reminders and wake up announcements throughout the cabin to get them up. Once they are awake, they stand for the bathroom. Lots of banging against the door as the young girls can’t hold their bladder for too long. They also each have tepee duties that have to be completed in the morning whilst they are getting ready. All cabins want to get perfects in inspection each day and midgets always try really hard (well when they want to and remember about them). There is 30 minutes from the wake up bugle until the flag bugle. There are mornings where that seems like a long time, the girls jump up, get dressed, do their duty and are out playing before flag. However majority of mornings that is not the case. They take their time, sleepily get themselves ready and the flag bugle has gone before they have brushed their teeth. Not to worry, they make it along and always manage to get there. Siesta is always great fun in a midget cabin. Midgets NEVER want to sleep during siesta. They love spending time with one another, so after being in separate classes all morning they want to use siesta time to catch up and play. This summer, siesta was the time to play with ‘shopkins’, or make friendship bracelets. That is totally fine, however they are so young that they are super tired as much as they don’t want to admit it. Camp is such a busy place; they are on the go constantly so siesta is important for them to rest. A midget counselor’s favorite day is when head staff announces at lunch that it is mandatory sleep (the older girls also love it but unfortunately midgets do not). The break between 6th period and dinner is the best time for midgets to shower. They come back quickly from their class, jump in the shower and go back out to play. Midgets are great at making up games, last year they constantly played ‘Annie’ outside, this summer they had weddings, did each others nails and spent time with older campers. This age group have great imaginations for their own games and keeping each other busy and before dinner they just love to be outside playing. After evening activity, especially if they did not sleep during siesta, midgets are so exhausted. They literally get ready for bed, try to play some more but are always so tired. It is not uncommon for a midget cabin to be in bed before the bugle. They are perhaps the only division that is so tight with their bedtime. Older tribe sisters often use the evening time to come and chat to their lil sis, tuck her into bed, help her brush her hair. It helps those girls that are maybe a little homesick and creates special bonds between both big and lil sis. Editor’s Note: Kaitlin Bryden was a counselor at the Heart for the midgets. 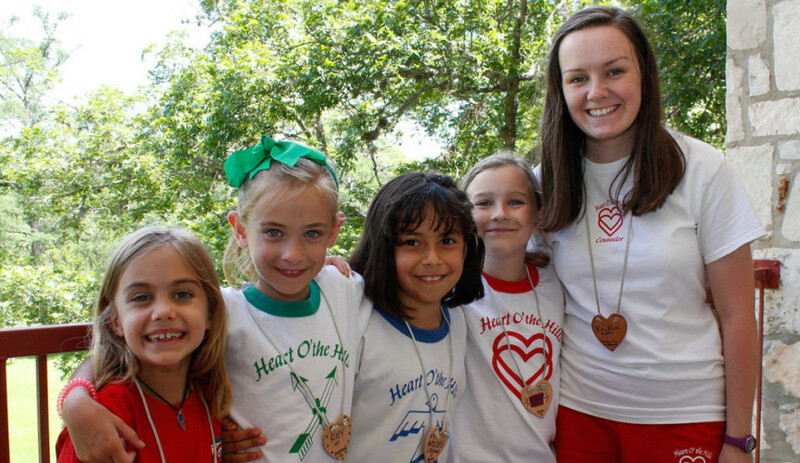 She was a counselor at The Heart is 2015 and fell in love with that division. She returned this past summer specifically to work with them again and hopes to do the same next year. She says the most fun thing about being a midget counselor is that they bring you back down to earth; you get to play their silly games and really enjoy the innocence of life.